Guelph is a midsized city in southwestern Ontario, located about 100 km west of Toronto. Guelph, Ontario has adopted a Complete Streets approach (p. 10) in the 2014 Streetscape Manual, Built Form Standards, & Conceptual Design for St. George’s Square as part of a major transformation in the community’s downtown streetscapes. The document advocates equal consideration of all modes by “Flattening the prioritization hierarchy [that] will better prioritize pedestrians, cyclists and transit users in downtown” (p. 10). The Manual includes a large number of renderings and diagrams of proposed Complete Streets redesigns for downtown Guelph. 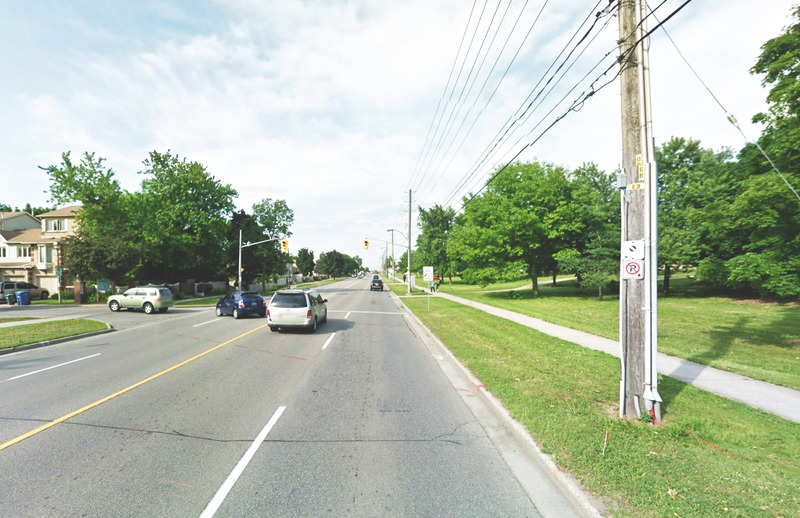 However, the Manual does not apply across the municipality, and presently Guelph’s Official Plan, Cycling Master Plan, or Transportation Master Plan do not incorporate Complete Streets language. 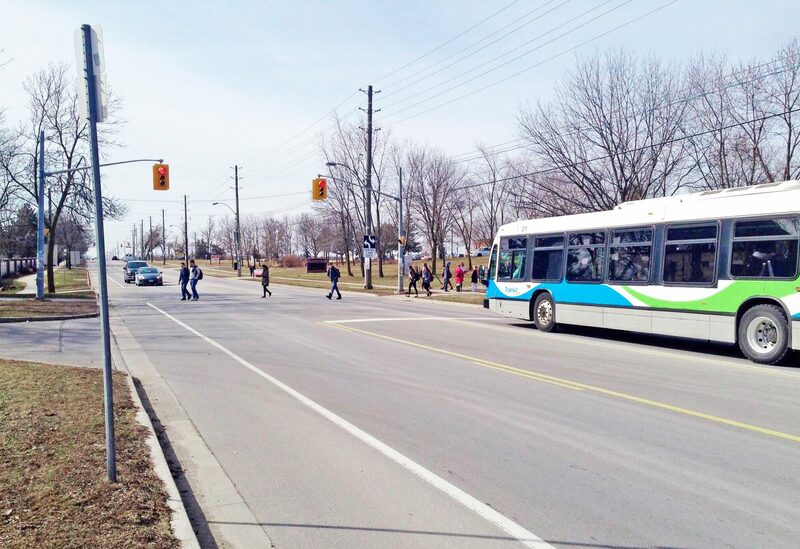 The re-surfacing of College Avenue West in Guelph is one of the nine Complete Streets projects profiled in TCAT’s Complete Street Transformations. College Avenue West was transformed by taking advantage of planned road resurfacing to include painted bike lanes and achieve an active transportation “quick win.” The project completed a missing link in the city’s bicycle network, and reduced motor vehicle traffic in an area with a university and four schools. It cost only $11,200 and took only two years to complete (2012-2014), from the identification of College Avenue West as a priority in the city’s Cycling Master Plan to the end of construction. Three times more cyclists were recorded after construction, compared with the same time the year previous. Motor vehicle traffic has been reduced by 13% eastbound and 6.9% westbound. The number of collisions has increased. In the three years leading up to the project, there were 6 motor vehicle collisions; from the completion of construction in Aug 2014 up to 2015, there were 6 more collisions, representing an increase in the annual rate. With only one year of data, however, these results are inconclusive. Future collision data will need to be analyzed to see if rate remain higher or drop back down to pre-construction levels.